I HATE wasting food. So, to let a big beautiful spiral ham go to waste in my fridge would be heartbreaking. 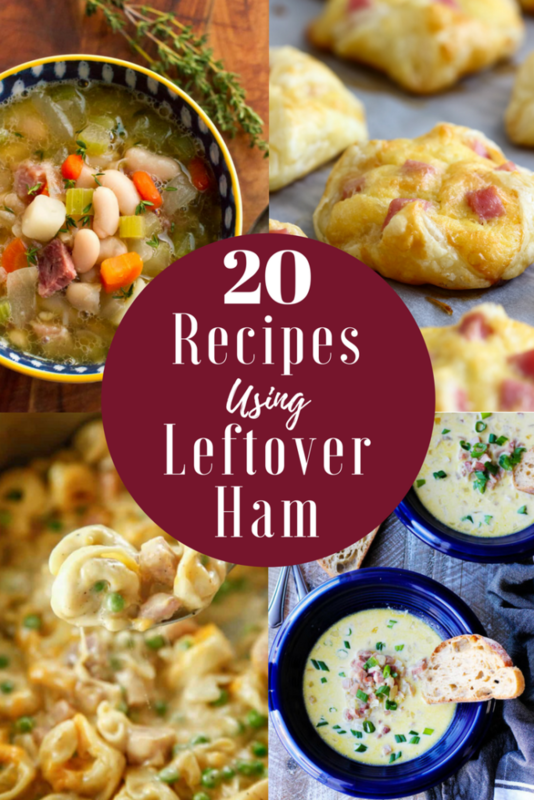 That is why I got together with some wonderful food bloggers across the internet to bring you 20 ways to use up that leftover ham. I have rounded up leftover ham ideas from breakfast to appetizers- all the way to dinner. Recipes using a little ham, a lot of ham, the ham bone and, my favorite, instant pot ham recipes! 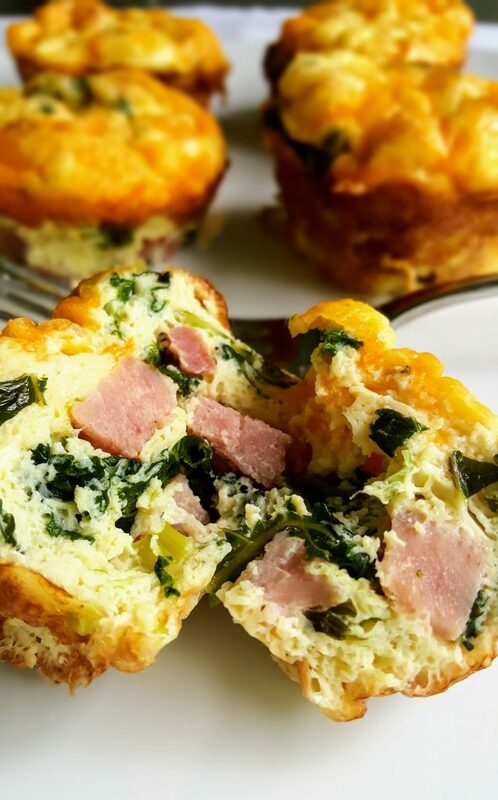 Ham and Kale Egg Cups from me, Mom’s Dinner. This is a really great breakfast idea for the week because you can make these egg cups, store them in the fridge and reheat them in the microwave for a super quick and easy breakfast. Don’t forget that breakfast is great for dinner too! Broccoli, Ham, and Mozzarella Baked with Eggs from Kalyn’s Kitchen. If you are following a low-carb, Keto, low-glycemic, gluten-free, or South Beach Diet this is the recipe for you! 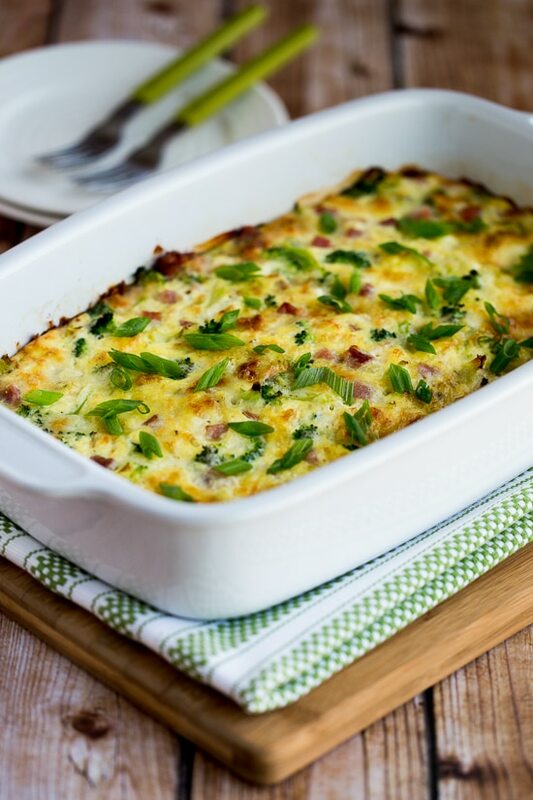 A delicious egg bake that is full of healthy ingredients. 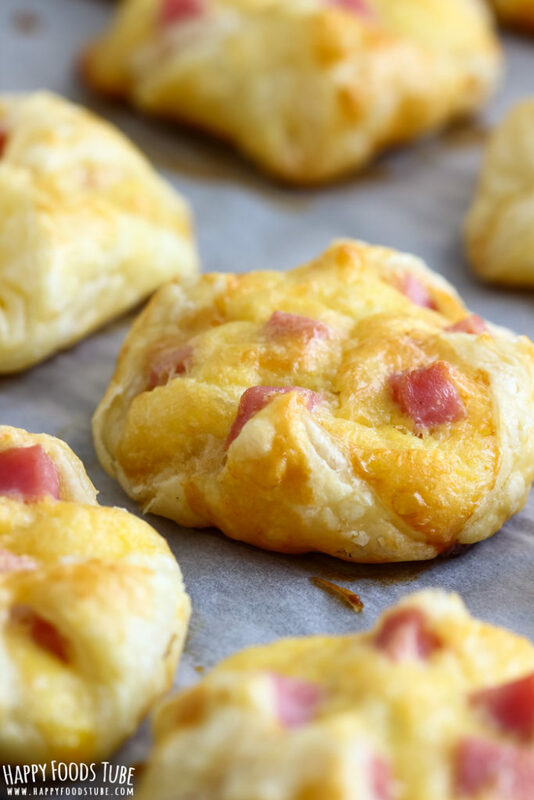 Ham & Cheese Jambon Pastries from Happy Foods Tube. A “Jambon” is a popular Irish pastry sold at just about every deli counter in Ireland. These are perfect for an on-the-go breakfast, lunch boxes, kid snacks or entertaining. A super versatile use for your leftover ham! 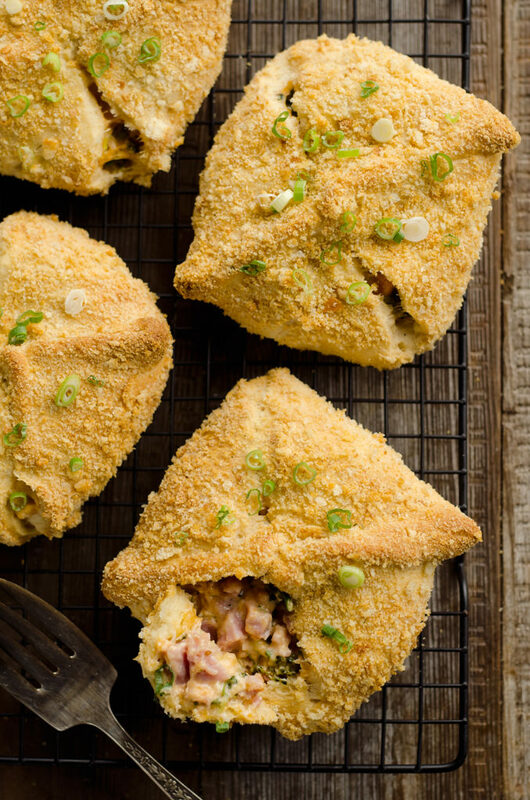 Ham and Brie Breakfast Hand Pies from Cooking on the Front Burner. This recipe might be worth saving a few extra slices of ham, just to make sure you have enough! 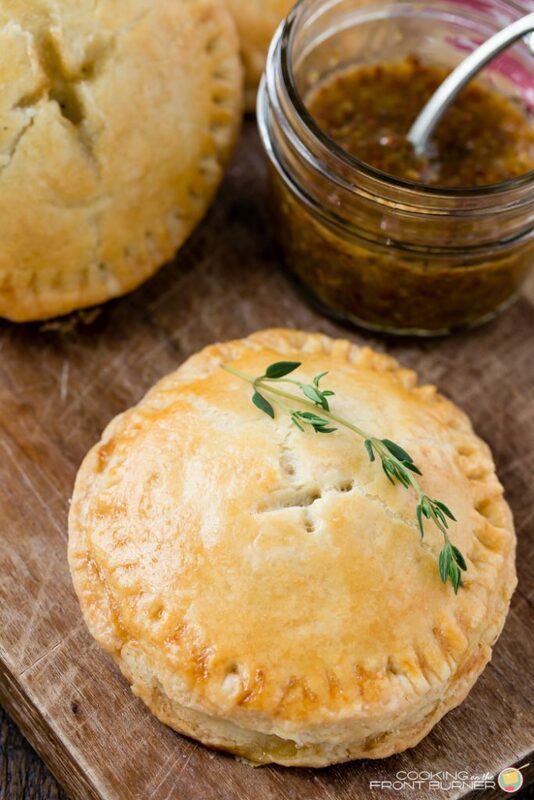 These little pockets are flaky pastries full of ham, gooey brie, fig spread, and stone ground mustard. I know these would make an amazing breakfast, but I think they would be perfect for lunch too. Cheesy Hot Ham & Broccoli Crescent Pockets from The Creative Bite. These are like super sophisticated and over-the-top delicious Hot Pockets! Delicious crescent pastries full of ham, cheese, broccoli, cream cheese, and garlic, then…are you ready for this… they are rolled in crushed croutons!!!! What!? Genius! I think this will be a crowd pleasing leftover ham recipe. Even for kids! Ham & Potato Chowder from Mom’s Dinner. This is a great use for leftover spiral ham, especially the larger end portion that is not spiraled. You can chop that ham up and add it to this soup. 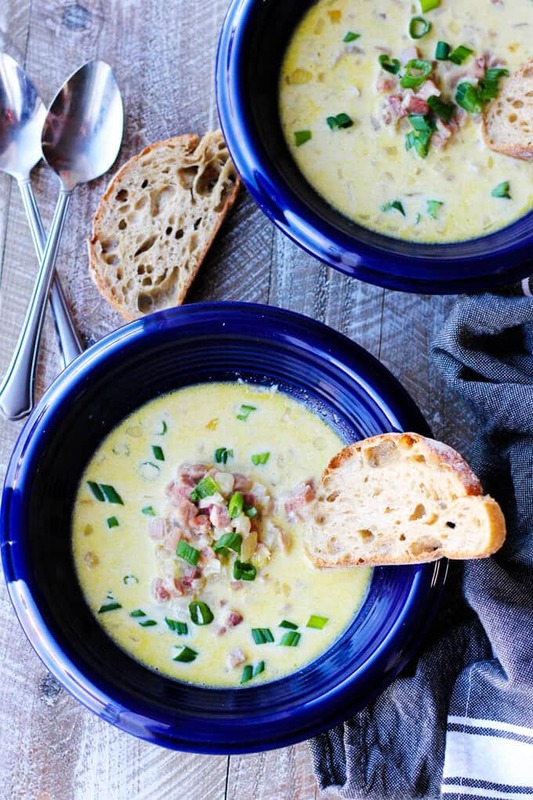 It is a super easy and an over-the-top flavorful chowder. Pressure Cooker Split Pea Soup with Ham from Lemon Blossoms. If you love your Instant Pot as much as I love mine, then this is the recipe for you. 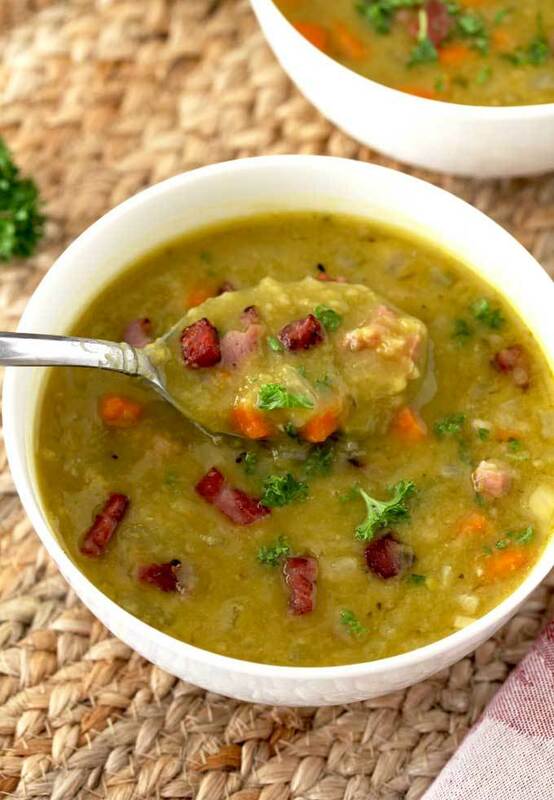 A delicious Split Pea Soup with the added salty flavor of ham. In this recipe you can use your leftover ham OR ham bone. Bonus! 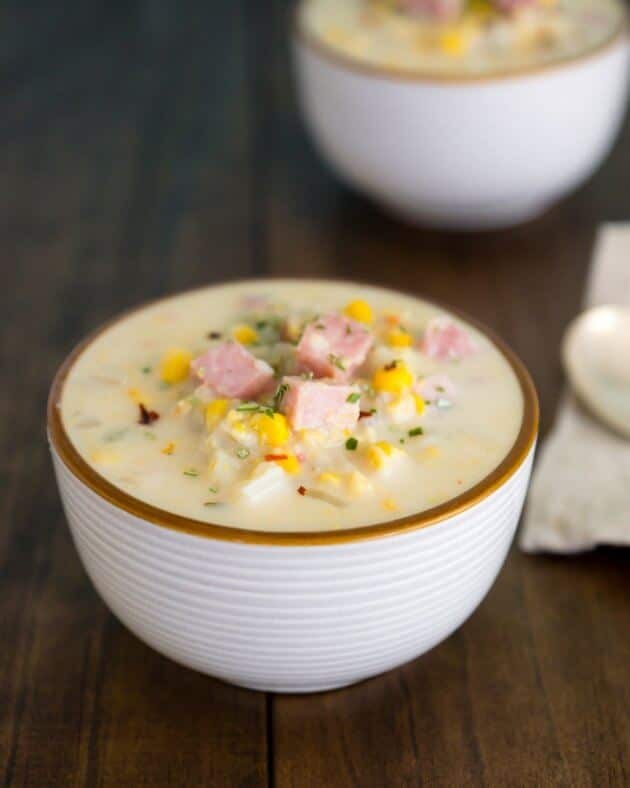 Easy Corn & Ham Chowder from Plate Full of Grace. This recipe is the perfect use for all your leftover ham AND if you have summer corn in your freezer this is when you will want to use it up! Think of all that flavor- chopped spiral ham and frozen summer corn. YUM! I also love that this recipe uses frozen O’Brien potatoes for a great short cut. Easy and delish! 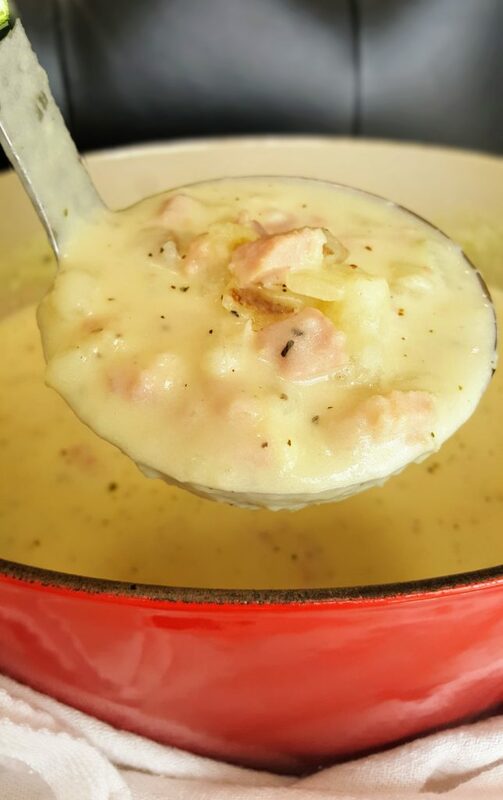 Ham and Cheese Soup from Innocent Delight. Ham & Cheese…YES PLEASE! But… this isn’t your regular old cheese based soup. This one is full of gruyere cheese, white wine, nutmeg, and heavy cream. How divine!? 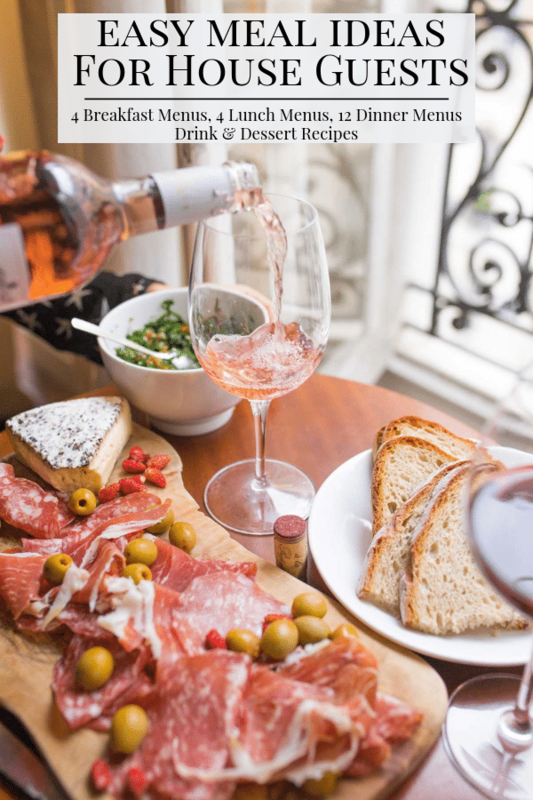 I say open a bottle of wine, pour yourself a glass, get out your leftover ham, and get ready to make dinner. Slow Cooker Ham & Cheese Spinach Dip from Kleinworth & Co.. Yes, you can use that leftover ham for an appetizer, and who doesn’t love a good spinach dip with chips!? 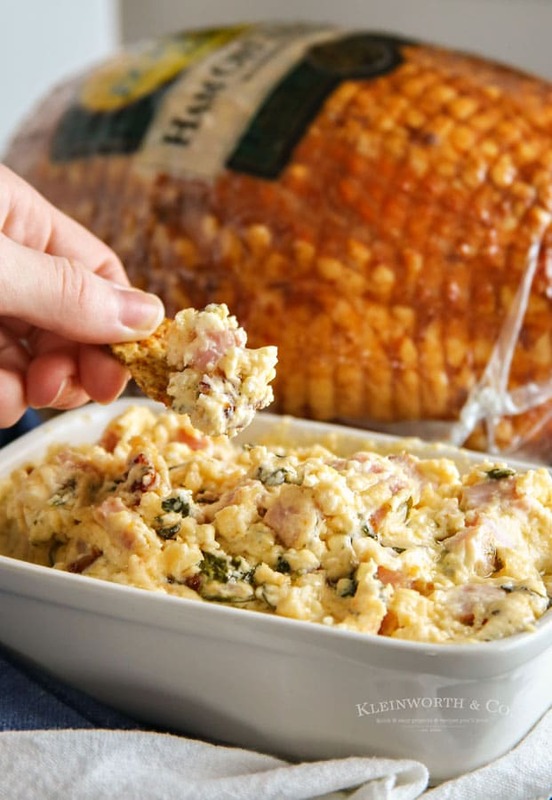 This recipe takes your regular old spin dip to the next level by adding diced ham to cream cheese, parmesan, mayonnaise, onions, and garlic. A crowd pleaser for sure. 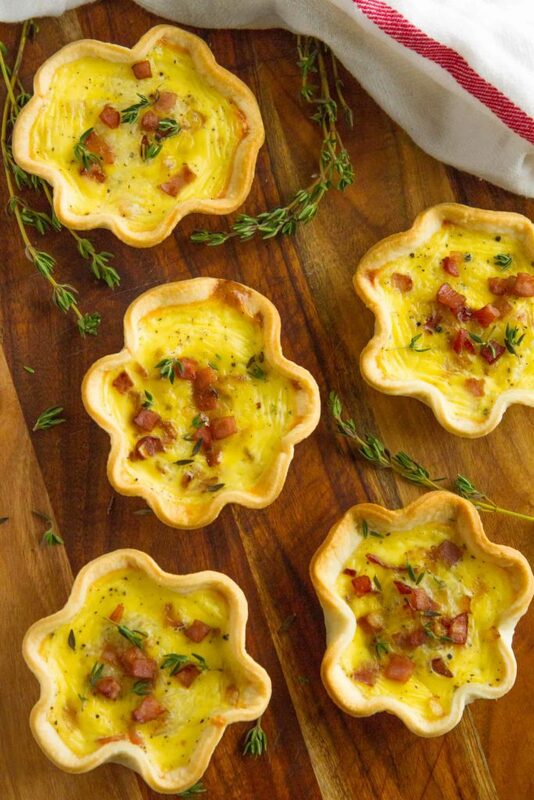 Ham and Cheese Mini Quiche from Unsophisticook. Aren’t these the cutests little one bite quiches!? They would make a great appetizer with cocktails, before dinner. I love the shortcut of using store bought pie pastry to make the quiche shells and the filling is just as easy to whip together. 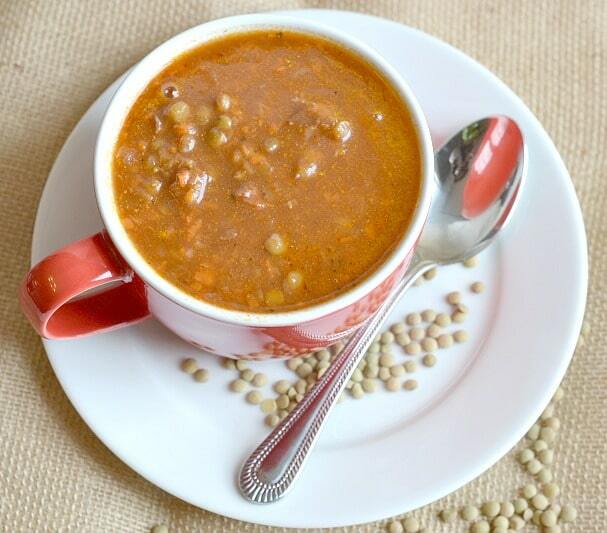 Ham & Lentil Soup from Creative Southern Home. Don’t throw that leftover ham bone away. It produces the most flavorful soups and stews. This recipe takes advantage of all that flavor by making a ham bone broth and then adding veggies and lentils for a super filling dinner. 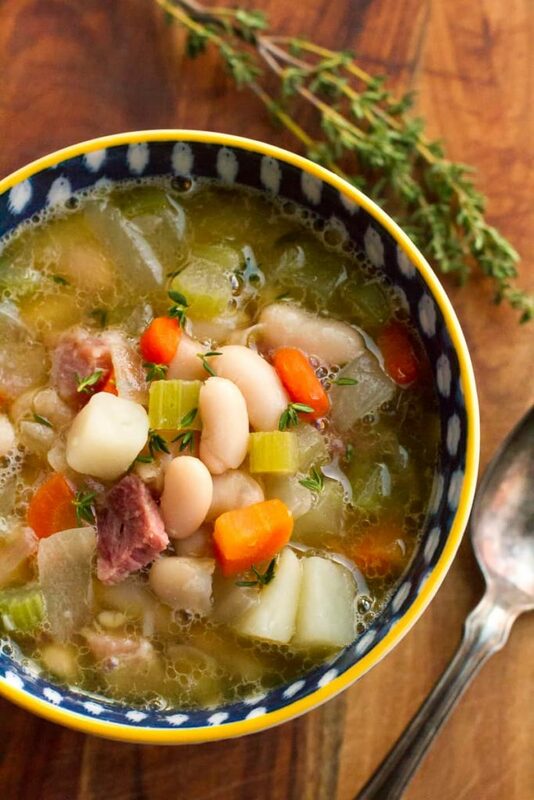 Ham & Bean Soup from Unsophisticook. I love that you can use all parts of a bone-in spiral ham. This soup uses all the flavor that the ham bone can give. You boil the ham bone to make a beautiful ham stock and then add onions, garlic, carrots, celery, potatoes, beans, and ham to make a super hearty dinner. 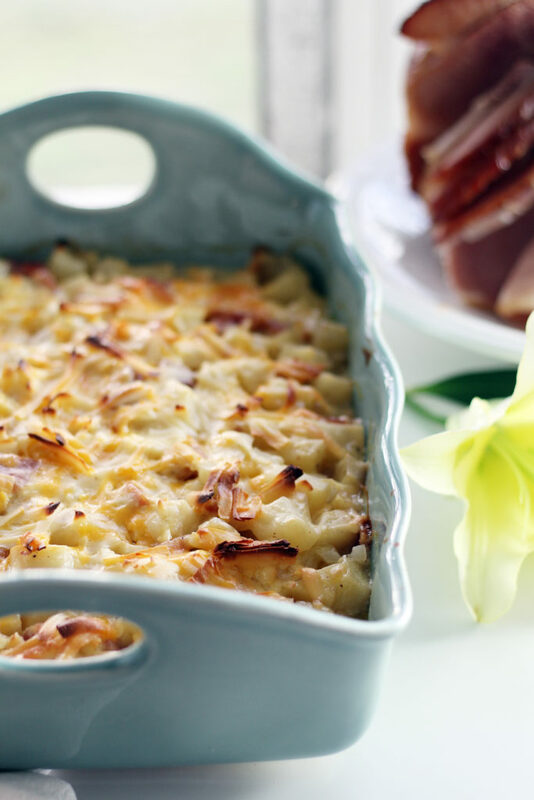 Smoked Gouda + Cheddar Ham and Potato Casserole from Buy This Cook That. Now this is taking traditional scalloped potatoes and ham to the next level! Teri doesn’t mess around with the flavors is this dish. It is full of potatoes, ham, onions, spicy mustard, smoked gouda cheese, and NY cheddar. I think this is a perfect meal in itself! Leftover Ham Mac and Cheese from The Brooklyn Cook. 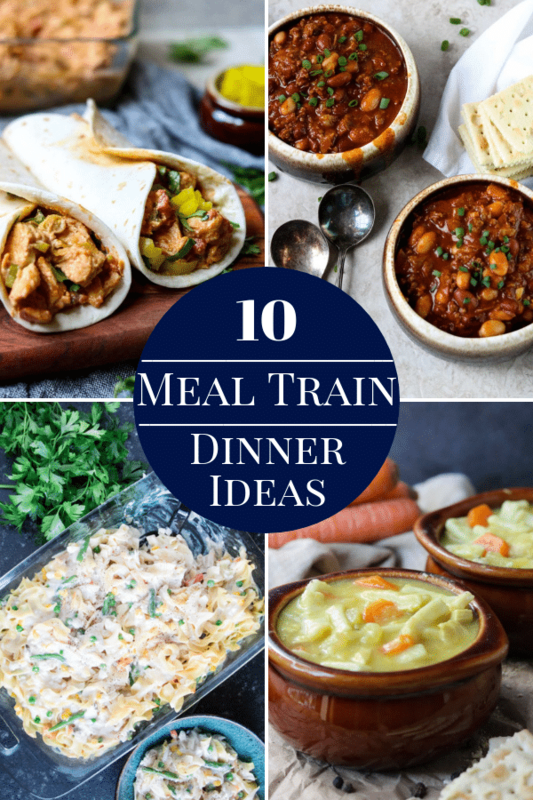 Aren’t we all on the search for dinner recipes that will produce a “tear free” dinner for our little ones. Search no further.. this is it! 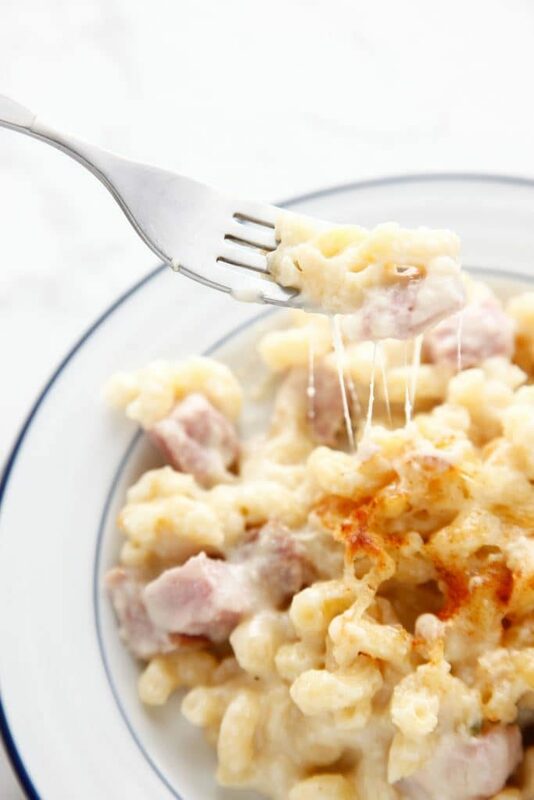 Mac and cheese is always a winner with my kids, and if I can sneak in some leftover ham to boot- success!! Not to mention this is full of easy to find ingredients. Bonus! 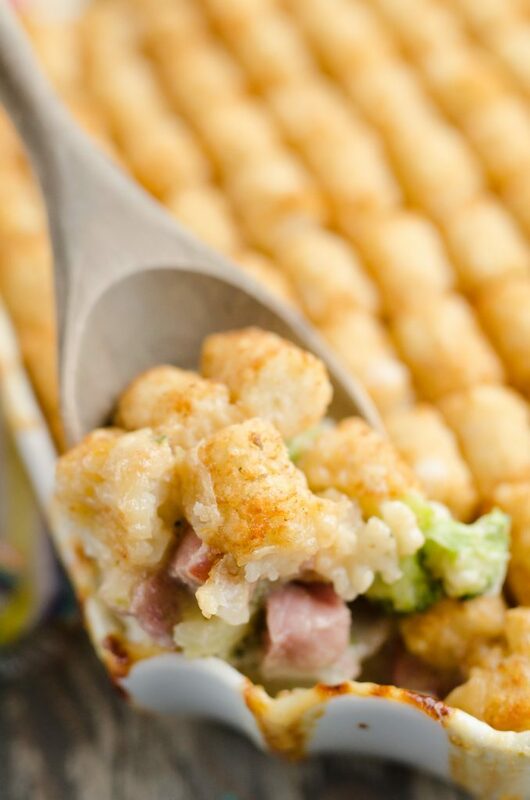 Cheesy Ham and Broccoli Tater Tot Hotdish from The Creative Bite. Throwback Alert! Who remembers eating Tater Tot Casserole when you were little? I loved it! This is an updated version of the classic. A little ham, a little cheese and broccoli, topped with a lot of yummy golden tater tots. Put a napkin around my neck and hand me a fork! 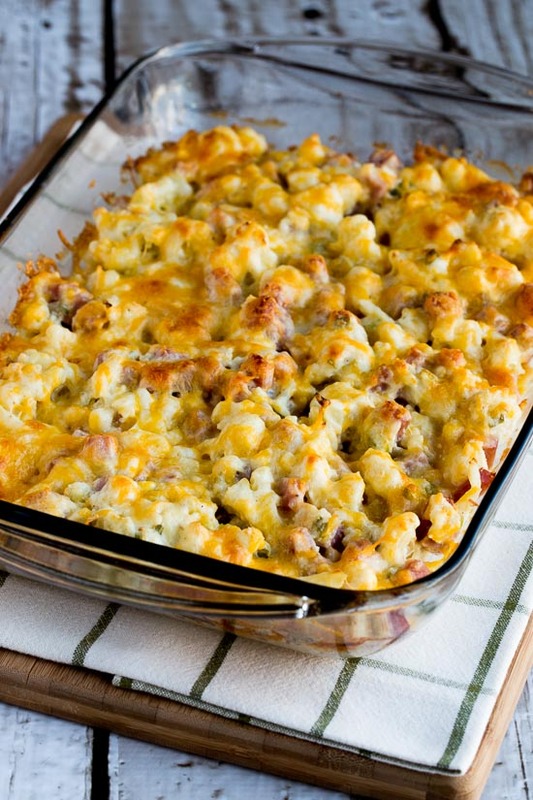 Low Carb Ham and Cauliflower Casserole Au Gratin from Kalyn’s Kitchen. If you are feeling a little heavy after all the holiday eating this is a great low carb dinner to plan. Instead of starchy potatoes it is full of low carb cauliflower. It does contain cheese, but the calories are cut by using plain greek yogurt. Leftover Ham Creamy Tortellini from The Brooklyn Cook. I love a good 30 minute dinner like this pasta recipe. 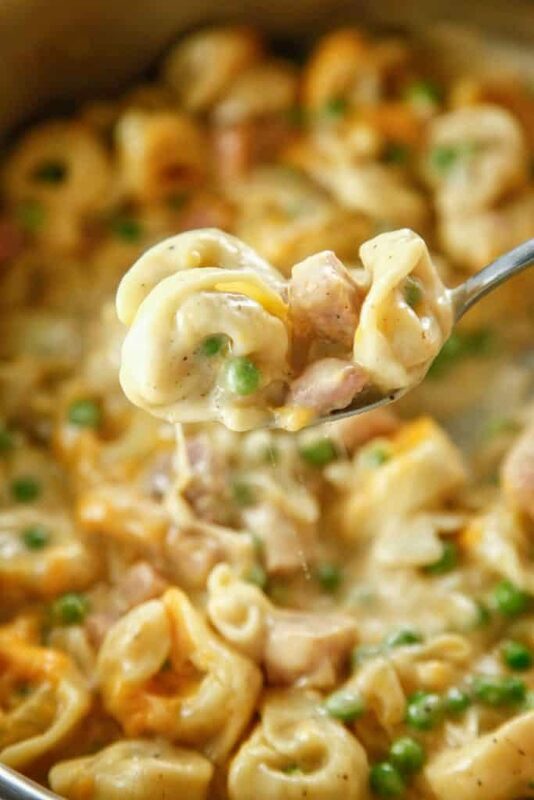 It is full of easy to find ingredients like cheese tortellini, chicken broth, peas, heavy cream, and shredded cheese. This will be a go-to recipe after Christmas and Easter when I have a lot of leftover ham! 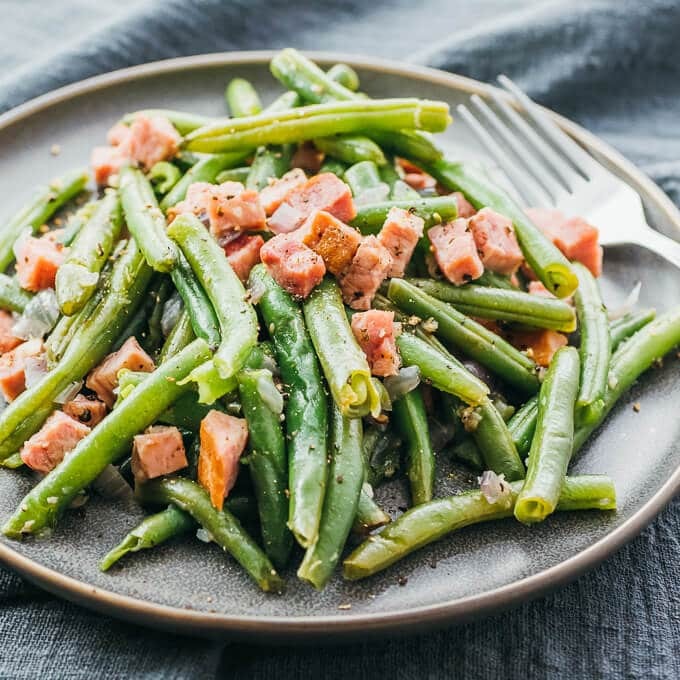 Instant Pot Green Beans and Ham from Savory Tooth. Do you love your Instant Pot? I am bordering on obsession with mine. I love this recipe for Green Beans and Ham. If you only have a cup of ham leftover this is a great recipe to plan. A perfectly easy dinner would be to grab some crispy fried chicken from your favorite grocery store deli, throw these beans in the instant pot, and roast some red potatoes in the oven. I know that would be a crowd pleaser at my house! 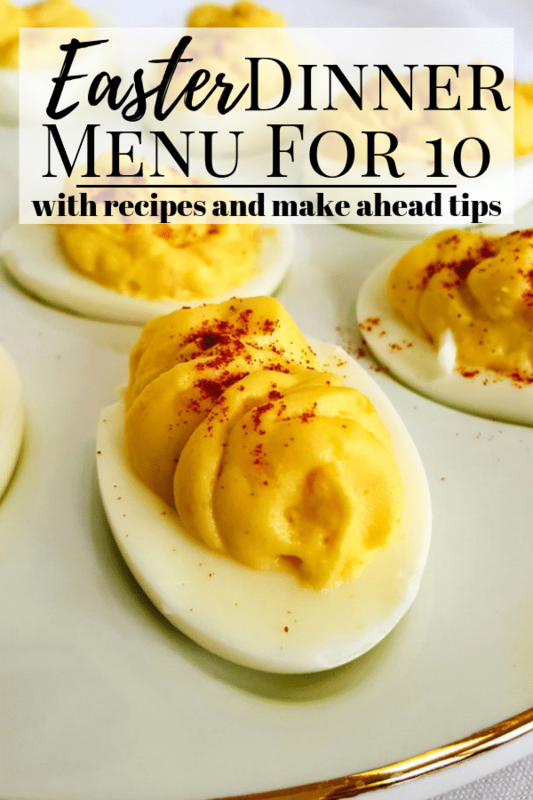 I love all these recipes – thanks for including mine! Leftover ham is a post holiday perk, look at all the great recipes to keep the yummy dinners going in the week after the party. Definitely! A lot of these recipes are worth making a larger ham to have leftovers. I LOVE it too! There are some really great recipes in here! Don’t forget to pin it for easy access later. 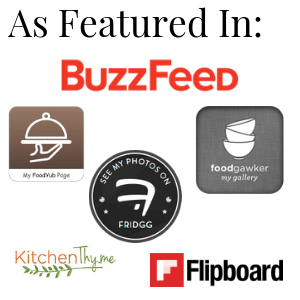 Such a great collection of recipes and some really good ideas for using leftovers. I don’t like to waste food either so having other ways to use food in different recipes is always good. So many wonderful and delicious options! Definitely saving and pinning this roundup! Love all those great ideas!!! 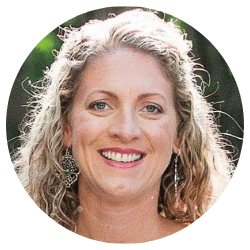 There are a lot of wonderful bloggers who contributed to this list! Thank you so much for pinning. What a great idea. We hate wasting any food, so there are some great ideas here. Love the sound of the egg cups. I HATE throwing away food, especially any protein! The egg cups are so easy and delish. 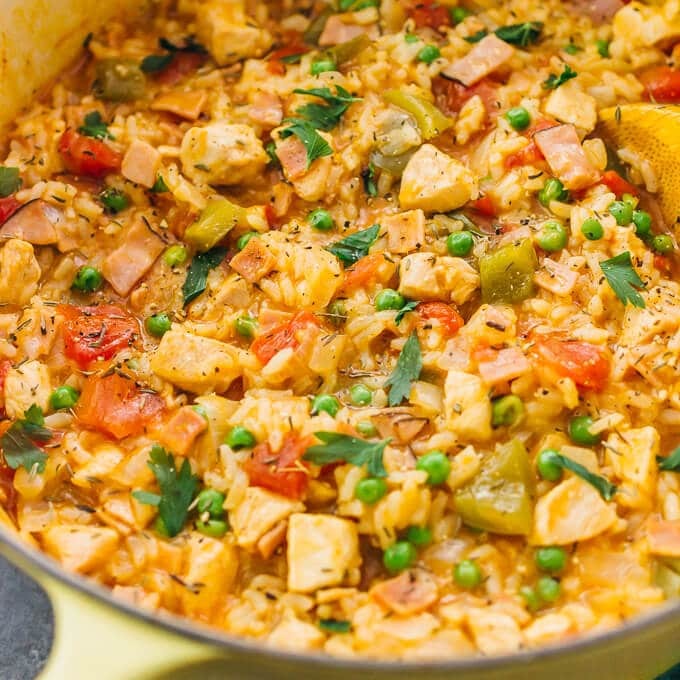 They are a great “make-ahead” dish for the week. They warm up perfectly in the microwave. This is *such* a useful compilation. I mean, I always loved eating ham cold out of the fridge, but creating new and exciting meals out of leftovers definitely seems better. Also.. my kids can be finicky when I say “leftovers for dinner”, so if I say “mac and cheese with ham” they are less likely to scoff. Always a bonus! What an absolute great round up! One of my favorite meats is ham and I could eat each and every one of these recipes! Now the question is, where do I start? Looks like a great collection of recipes! Thanks for including some of my favorites. Yes! Thank you for checking it out.